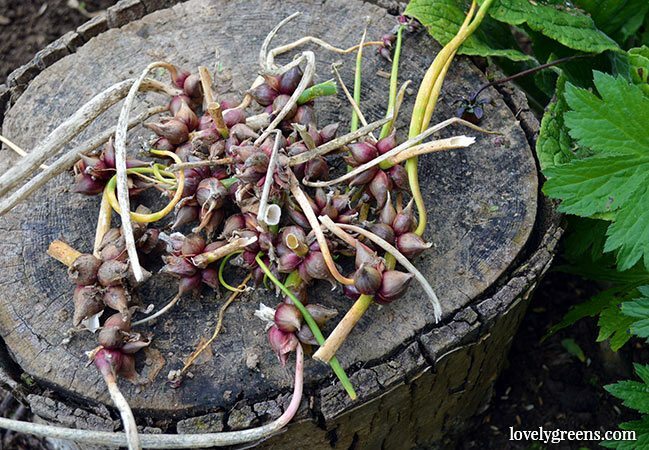 One of the quirkiest vegetables that I grow in my garden is the Egyptian Walking Onion. 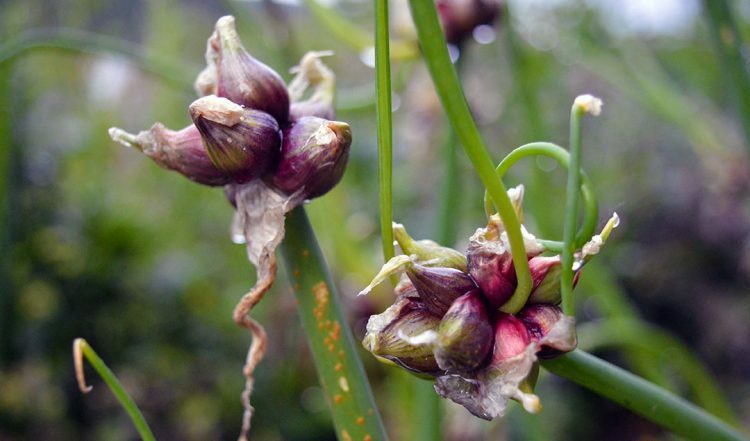 It’s a perennial, which means that the plant grows back from its main bulb every year. 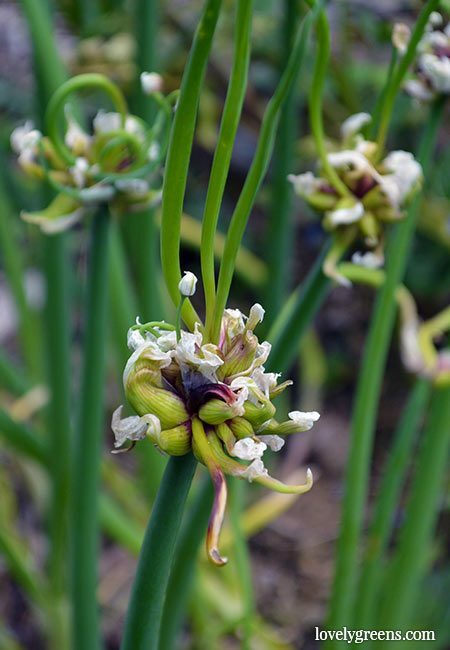 They also produce clusters of tiny onion bulbs at the tops of their stems rather than at their base. That’s how the plant got its name — the weight makes the stem topple over and the tiny bulbs grow into new plants a couple feet away from the parent. 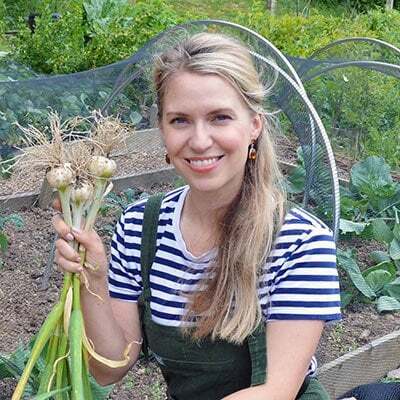 There are dozens of different types of onions to choose from so why grow the Egyptian Walking Onion? First of all, they’re hardy and will emerge every year before many of your other edibles. It’s a moment of joy when you see their green spikes pushing up from the earth in February. There are a few different types of Egyptian Walking Onion but the one I grow is called Allium cepa var. proliferum. You can eat all parts of it including the main bulb, the stems (when they’re new and tender), and the tiny onionettes in the top set. They’re also an interesting plant to look at and aren’t invasive at all with their walk-about nature. The adult plants are started off by planting the small mature onions from the top of the stems. These begin forming in spring and are ready for harvesting in late summer — here on the Isle of Man (zone 9) mine are ready to be picked and stored in August. You’ll know that they’re ready when the stems have browned and dried up and the tiny bulbs look like miniature onions. If you keep them dry, cool, and out of direct sunlight, the onionettes can last into the new year. You can also plant some of them in the autumn to create new plants for next year. The little onion sets can be planted straight into the soil, providing it’s not too cold or wet. The best time to do this is in early autumn and you should cover them with about an inch of soil. 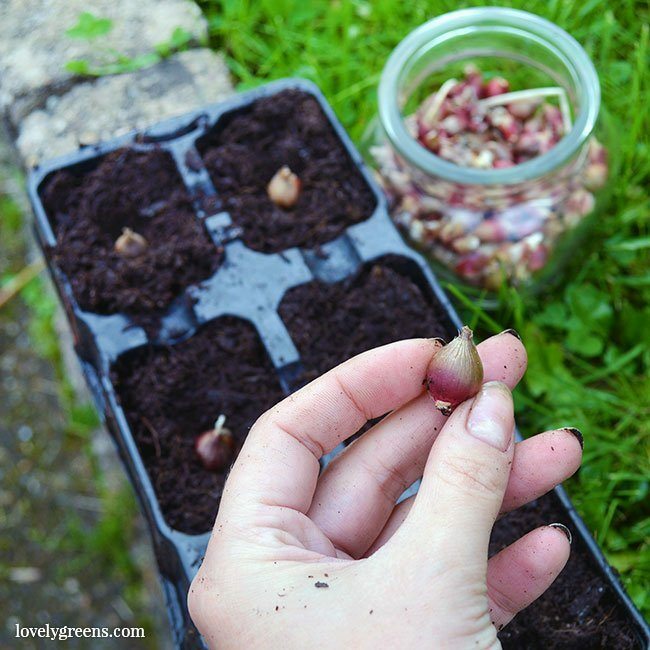 You can break them up into individual onions or you can plant the entire top set as one in the ground. The plants don’t seem to mind crowding each other but I tend to space mine a few inches apart. All alliums like rich soil that’s well drained so if you have space in a raised bed, plant them there. You’ll see see signs of life by early February. 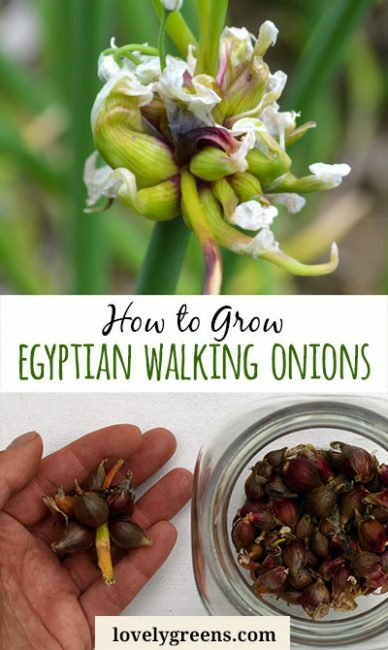 The other way to grow Egyptian Walking Onions is in modules. Fill them with compost and just press the little sets into the centre. They don’t need to be fully buried either since the chance of birds or the elements uprooting them is low. 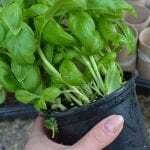 Water them well and set them either in your greenhouse or a sheltered area in the garden. You’ll have green shoots on them around the same time as outdoor planted sets. When the soil has warmed up, and any lingering snow or frost has passed, you can plant the modules into the garden. If you think they could use a little more footing, you could plant them slightly deeper than they were originally growing. Otherwise, plant them to the level they grew at in the modules. Aftercare is easy. A mulch high in nitrogen, such as homemade compost, will keep their green leaves growing strong. 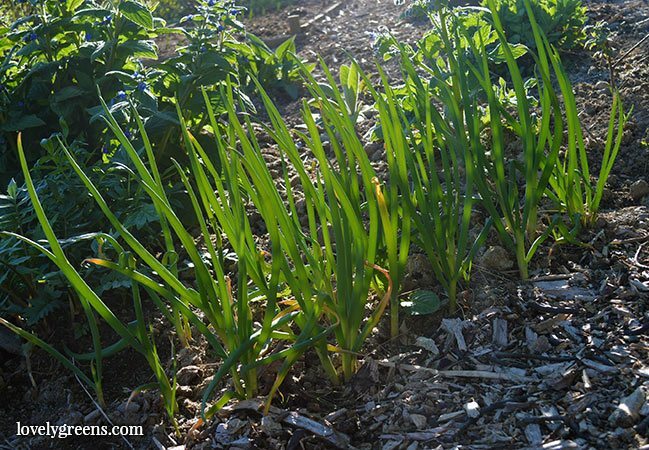 In April the greens will be about 18″ tall and you can pick some of them to use as giant chives or as spring onions — just don’t defoliate an entire plant. 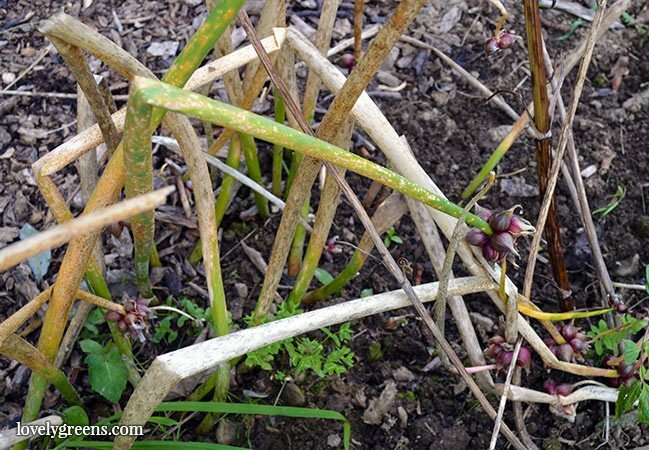 They’ll begin forming what look like flower buds, some of them curly like a garlic scape, in May. They’re pretty to look at and actually look appetizing. I ate one whole as an experiment and it was sharp and oniony — I probably shouldn’t have done that right before a meeting! Egyptian Walking Onions in April. The greens can be used like spring onions. 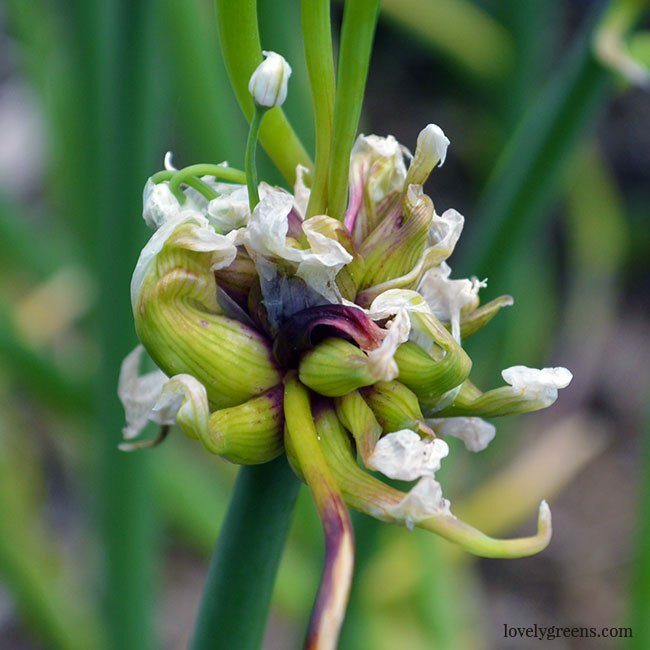 Though the Egyptian Walking Onion is not invasive, it will happily drop it’s top set and grow on its own. Maybe this is where it got it’s nickname of ‘Egyptian’ from — they could probably walk all the way from Egypt to Europe given enough time. 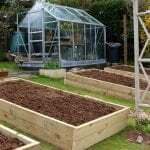 If you’d like to keep just a few plants, harvest the base bulbs of some of your mature plants and then plant a top set in its place. 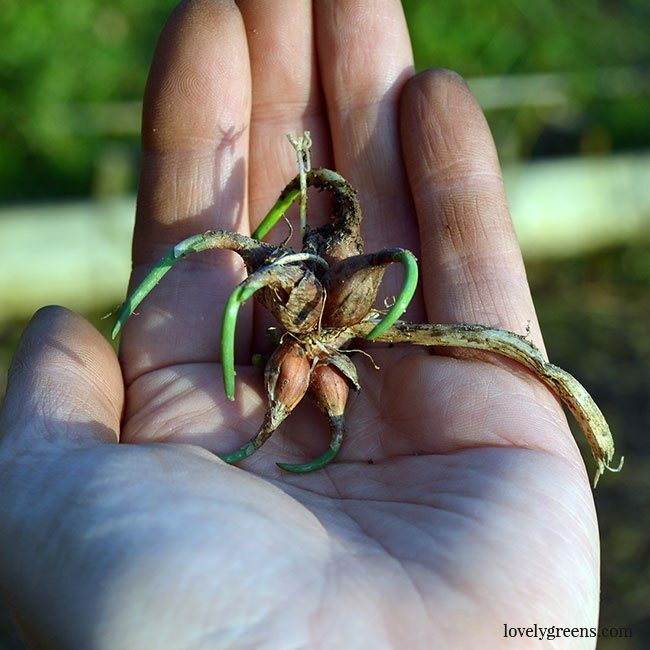 The mature bulbs at the base of plants are a little like round shallots and can be used in the same way. If you leave them in the ground, they’ll continue to regrow for years to come. The tiny onions are so small that you might wonder what could be made with them. First off, you need to imagine the flavour — it’s somewhere between onions and garlic so use them as such. Infuse the peeled onionettes in oil, saute them in butter, and use them to your hearts content in pasta and stir fries. One tool that makes cooking with them a lot easier is a garlic press. With it you don’t even have to peel them — just pop a tiny onion inside, press hard, and the onion squeezes out through the mesh. It makes such short work of them that you won’t be bothered with their fiddly size. I love growing these! We dig them up every time we move so we can take them with us. We originally got them to put it the children’s garden because we wanted to watch them walk. They really do!